A reader of this blog from the UK has sent Rail For The Valley some very useful links for those advocating for light rail. Zweisystem send a a hearty thank you! Edmonton's envisioned light rail network. Does TransLink have the the same vision? The Canadian State (Zwei commnets – We do note have states in Canada, we have provinces!) of Alberta has unveiled a C$2bn (US$1.9bn) public transport plan to boost public transit systems in cities and towns to cut down greenhouse gases in the province. Under the green transit incentives programme (GreenTRIP), the government has earmarked C$800m (US$775m) for Edmonton, C$800m (US$775m) for Calgary and C$400m (US$387m) for other municipalities. 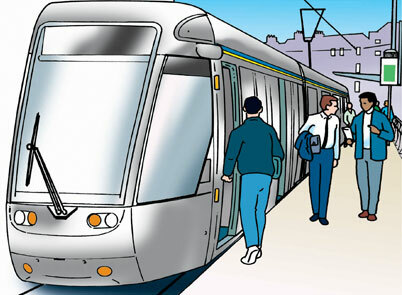 The multiyear programme is expected to make public transport systems more accessible in cities, towns and municipalities. Today, more links for TOD in low density areas. My thanks to David Cockle for sending them to Rail for the Valley! Smart Growth. A look into Cities, Urban planning, and the Sustainable Movement. 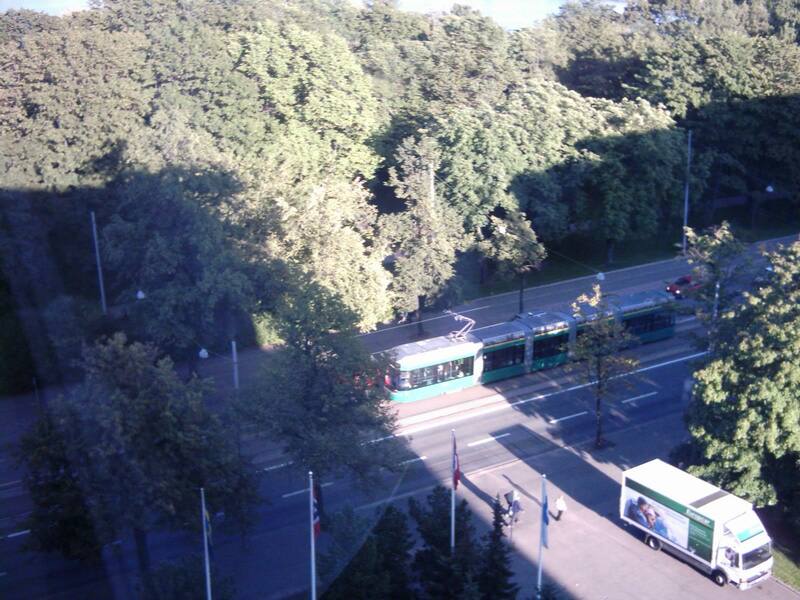 A tram makes a city livable! A reader of this blog has kindly given ‘Zwei’ some links about Smart Growth around the world and they are very much well worth having a look. After a few false starts in the past decade with numerous railway operators, the Spanish FEVE Railway is experimenting with a fuel-cell powered train on a short non-electrified rail line. For those advocating alternative fuel for the Valley Interurban, it should fell worth noting that the maximum speed than can be achieved with a fuel cell powered train is a mere 25/kph. ; hardly the speed needed for a 21st century version of the interurban. SPAIN: Metre-gauge operator FEVE is planning to start trials with fuel cell traction between Ribadesella and Llovio on its non-electrified Santander – Oviedo route by the end of this year. 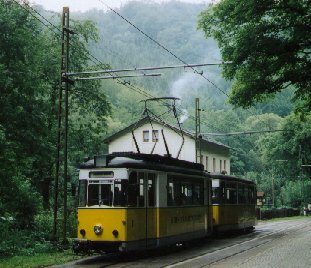 A hydrogen fuel cell is to be installed in a 1970s tramcar to power four traction motors, capable of operating at up to 25 km/h and making 15 return trips of 10 km every day. The fuel cell is being developed by Cidaut, a research foundation specialising in transport and energy that draws on the academic expertise of the University of Valladolid. It weighs 80 kg, including a 10 kg fuel tank. ‘The best thing is that emissions are zero’, project leader Alberto Montes told <cite>El Mundo</cite>. 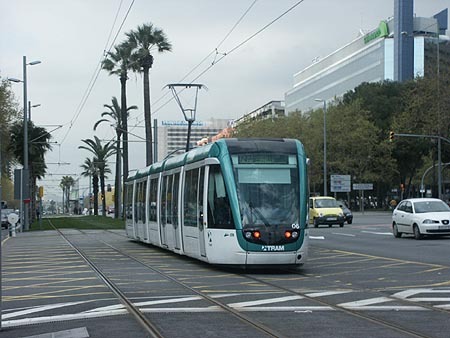 FEVE’s Director of International & Institutional Relations José Antonio Sebastián said that the new technology could be used on future light rail networks. 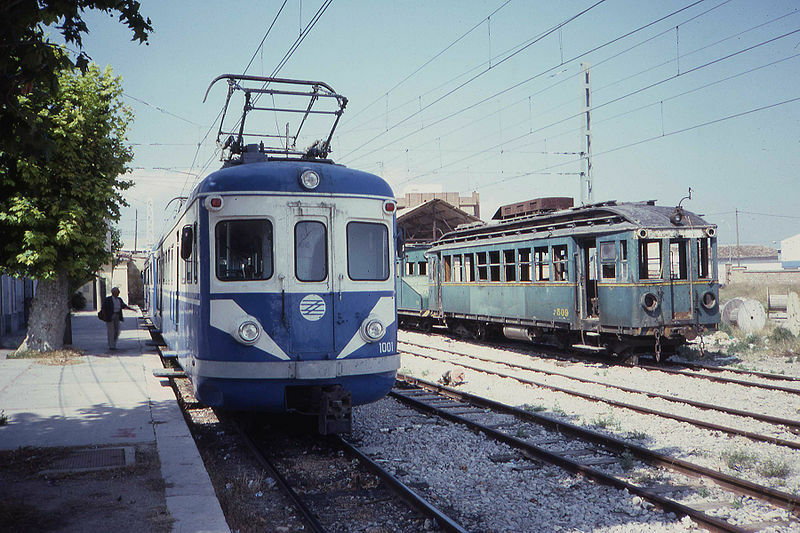 As well as Cartgena – Los Nietos, where tenders have been called for four vehicles (RG 2.10 p16), FEVE plans to convert routes in Asturias, Galicia and Cantabria to tram-train operations. A few thoughts on Tuesdays meeting put on by BARSTA regarding transit issues on Broadway or what Zweisystem calls the ‘Broadway Follies’. First though a comment on Vancouver’s pedestrians; my god does anyone in Vancouver, including pedestrians and cyclists obey the rules of the road? Driving in Vancouver reminded me of some sort of perverted pinball game were people blindly walk across the street against the prevailing road signals. No fewer than five intersections on Tuesday did pedestrians (including one matron with a pram) attempted to cross the street on a red light. This is pure suicide, yet it seems to have become everyday practice in Vancouver. It was nice to meet the feisty Susan Heyes, who took on TransLink over cut-and cover construction and won. Also it was good to meet Patrick Condon, Vancouver’s streetcar man, who explained to ‘Zwei’ how he did his study and ‘Zwei’ was impressed. Stephen Rees is always worth the price of admission, as he knows the transit game in the Metro area so well. An older lady who wanted much higher density along Broadway, for what ends, she did not elaborate. A UBC student who wanted a ‘fast’ subway so he could commute from Coquitlam to UBC to save money by not renting closer to the university. A lady who claimed she lived on Cambie St., sang hosannas about the Canada Line and then stormed out of the meeting and drove away! DO NOT get involved with the ‘free transit’ debate as it doesn’t work. It has been tried elsewhere and has failed miserably in attracting the motorist from the car. BRT or bus rapid transit costs more to operate and only slightly less costly to build than LRT. BRT systems seem to failed to attract the all important motorist from the car. Do not let city engineers get their way and take off parking on Broadway. All this means, for all their hype and hoopla, is that their transit planning concedes that they will not attract car drivers to transit. All new LRT lines being built also involve traffic calming, either passive or active, reducing auto capacity on Broadway is passive auto calming. The speed issue for transit is a non issue as all transit lines are as fast as they are designed to be. Because a surface LRT system will have stops every 500m to 600m versus a subway with stops every KM. or so, the commercial speed of LRT will be about 10 kph slower than metro. If a subway is built, electric trolley buses on Broadway will be replaces by smelly and health threatening diesel buses. Diesel particulate is a carcinogen. Unless the Broadway subway is built to regular heavy rail subway standards, the capacity of a SkyTrain subway and LRT would be about the same. 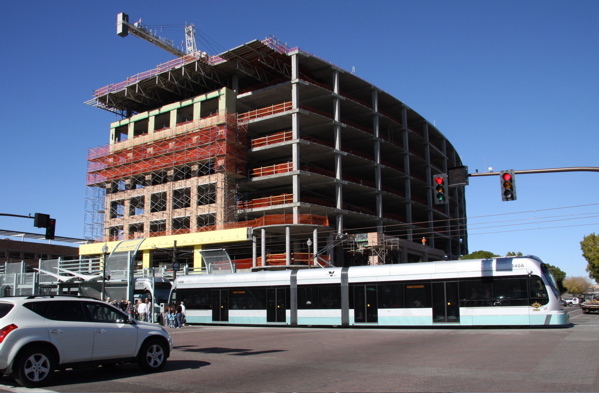 City staff should really try to educate themselves on light rail, I continue to be absolutely appalled by city planners and engineers who are absolutely clueless on the subject, despite modern light rail being the most popular form of ‘rail‘ transit in the world. Also sad to say is the the so-called intelligentsia at UBC still carry on with their puerile anti-LRT stance and still treat professors who champion cheaper and just efficient light rail as some latter day Luddites. It’s a sad statement on an institution which, it seems, has lost its way. In conversation with the intrepid Susan Heyes, it seems through her research, the real cost of the RAV/Canada Line to date is about $2.8 billion – not including compensation or court cases. Also, it seems several people were quietly compensated by TransLink over RAV/Canada line construction, but somehow, their names have been blanked out on documents received from (not so) Freedom of Information! An interesting night, a full house bodes well for BARSTA’s efforts in the future! A coalition of merchants and residents opposed to the building of a SkyTrain line along Vancouver’s Broadway corridor rolled ahead with a meeting Tuesday to discuss alternatives. About 120 people packed the meeting held by the Business and Residents Association for Sustainable Transportation Alternatives (BARSTA) at the St. James Community Square in Kitsilano. Donna Dobo, a business owner who attended, is concerned that she will be “squeezed out of business” during construction. Broadway merchants, such as Dobo, are concerned that SkyTrain construction like the Canada Line on Cambie Street would be detrimental to business. 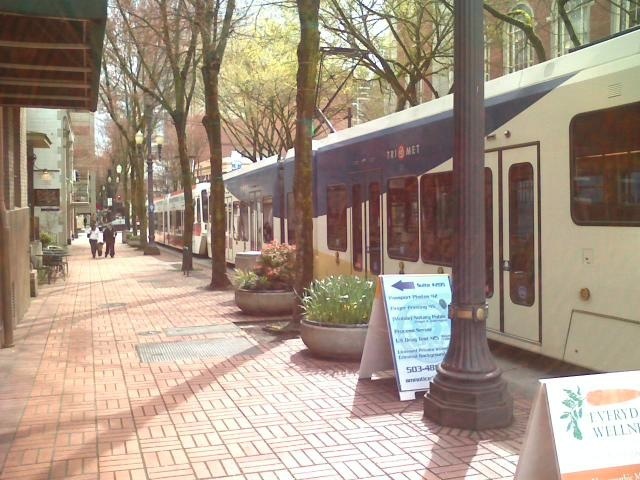 She, along with a contingent of like-minded merchants, would rather opt for a street-level electric system with stops to encourage passengers to use Broadway’s shops. Several Cambie Street owners are involved in a class-action lawsuit for damages, claiming the decision to use a cut-and-cover construction method instead of a bored tunnel resulted in problems that hurt businesses. Mel Lehan, a Kitsilano resident and co-founder of BARSTA, said he remains very concerned that a “transit system will be imposed” upon them without consultation. “I think [TransLink has] already decided to build a SkyTrain,” Lehan said. Hardie said a complete list of options for the 12-kilometre extension between Commercial Drive and the University of B.C. will be given to city council within the next two weeks. “We’ve been doing consultations with the community in a very robust manner,” Hardie said. Although a cost analysis will not be completed until the proposals are submitted to city council, Hardie said he hopes that the UBC and Surrey lines will be extended within the next 10 years. Meanwhile, Jerry Dobrovolny, assistant city engineer of transportation, confirmed that council passed a motion in 2008 stating a preference for the bored-tunnel approach under Broadway or 10th avenues. 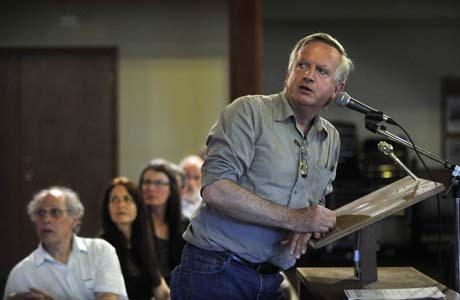 Despite the rising concern over the future of the Broadway corridor being raised, transportation economist and regional planner Stephen Rees assured the meeting’s attendees that worrying is all for naught. “TransLink can’t afford to build anything right now . . . 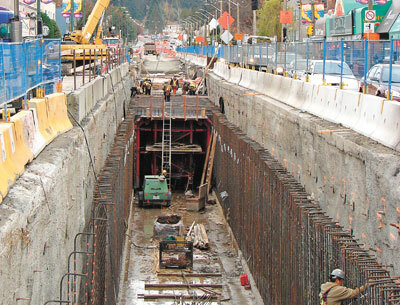 They can’t even afford to run more lines on the already overcrowded ­Canada Line,” said Rees, a former planner with the Greater Vancouver Transportation Authority. I wish we could apply the same criteria to our ‘rail‘ transit planning. What, no mention of increasing population density? I wonder why? 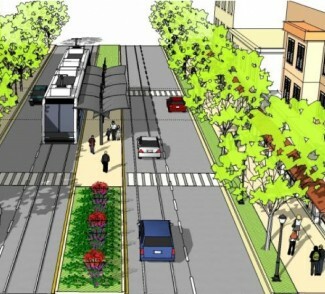 Could new FTA “livability” funding rules change Southwest LRT route? The big news this week is that the planned Central Corridor LRT line will get three new stations between Minneapolis and Saint Paul, and the reason seems to be the new FTA rules which relax the sole focus on cost-effectiveness from travel time savings to include broader goals of “livability“. With the three new stations, the project would not have met a “medium” rating for cost-effectiveness, and therefore would not likely not have been funded by the FTA under the old rules. What implication might this have for the planned Southwest LRT line and its contested route? It’s hard to say, but it certainly seems like the alternative routes should be re-assessed under the new formula before telling the feds that 3A is the Locally Preferred Alternative (LPA). More below the break. Project planners say that ridership and travel time savings on 3A and 3C are very similar, and that the difference between the two is cost (capital, not operating cost). This seems to be exactly the type of situation that the Obama administration and the FTA had in mind with this rule change: projects for which a potentially less-desirable route or design was chosen, simply to meet CEI requirements. Decision-makers for Southwest LRT are on the record as saying they were constrained by the CEI, and one would hope they would be happy to be able to re-evaluate the route choices using a broader measure of benefits. The traditional cost-effectiveness for travel time measure remains in the mix, but is no longer the be-all, end-all. Again, what these changes will actually mean is still to be determined as part of a rule-making process, but if they can have such a big impact on Central Corridor, a project that is now in the engineering phase, it certainly seems like Southwest project planners should be taking a careful look at which route will score best under the new rules. Under at least one of the criteria, economic development, the 3A route is not looking nearly as promising lately, while the Uptown area remains a destination for business development, even during the worst recession since the Great Depression. The LPA is not officially chosen until May of 2010, when the Met Council will amend its Transportation Policy Plan to include it. Before that happens, two public meetings will be held and a comment period will be opened to receive public comments on the LPA. According to the SW LRT website, the first meeting during which the comment period will be opened is February 24th. Now is the time to make sure that planners are thinking about the new funding guidelines. What I find interesting about this news item, is the statement, “…….a consultants’ report into the economics of LRT in Hamilton projected the system would need about 34,000 riders a weekday (8.9 million a year) to break even on its operational costs.“; which should put a stop to the SkyTrain’s lobby claims that light rail is expensive to operate! But, those advocating for LRT already knew that. It would seem that the same figures would hold true for a Broadway LRT, which with the much higher ridership numbers, would not just pay its operating costs, but most or if not, all of its capital costs! Of course this is what the man from ABB told ‘Zwei’ almost fifteen years ago; “A BCIT to UBC and Stanley Park LRT route, would double present bus ridership on those routes in about two to three years, thus attracting enough ridership to not only pay for operating costs, but also to pay for its capital costs as well“! LRT, built at no cost to the taxpayer! 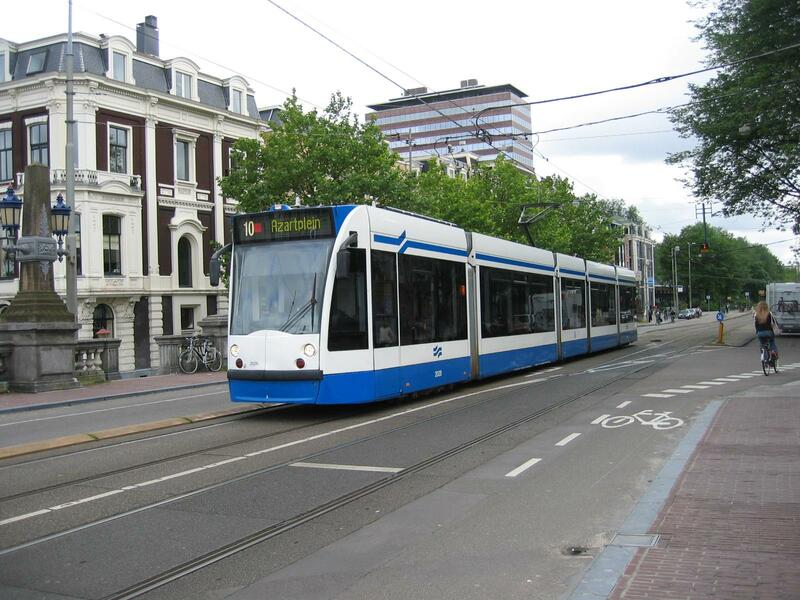 Does Hamilton have the ridership to justify light rail transit? There are plenty of people in this city who think the answer is no. In letters to this paper, blog posts and opinion surveys, they say not enough people want or need to go downtown and that Hamiltonians are too attached to their cars. Critics point out that most cities with successful light rail have much larger populations than Hamilton. Even Don Hull, director of the Hamilton Street Railway, says based on sheer numbers alone, Hamilton probably doesn’t cut it. But he says that’s only part of the equation. Present-day transit ridership doesn’t account for changes coming down the road that will push people out of their cars: increasing congestion, growing concern about pollution and climate change, and the inevitability of soaring gas prices. Light rail transit will transform the city’s transit network, attract new riders and be the critical component that gets people out of their cars, Hull says. And it brings investment and tax dollars to struggling neighbourhoods, he adds. The B-Line from Eastgate Square to McMaster University — the city’s proposed corridor for a light rail line — affects four of the HSR’s major routes, Hull says. Collectively, they account for about 50 per cent of the system’s riders. That adds up to 25,000 to 30,000 trips a day, half or more in peak periods. Hull says that’s not far off the usage that would be hoped for on an LRT line. In fact, a consultants’ report into the economics of LRT in Hamilton projected the system would need about 34,000 riders a weekday (8.9 million a year) to break even on its operational costs. Hull says many cities, including Portland, Minneapolis, Salt Lake City and Denver, quickly exceeded ridership forecasts. Hamilton is unique in that the ridership is already there, it just has to be shifted from bus to rail. Most North American systems, he says, run on an entirely new line and have to build from nothing. That’s a big advantage, says Antonio Paez, an associate geography and earth sciences professor at McMaster, who specializes in transportation. The objective is to make transit the most attractive option for getting around, says Paez. Choosing to run rail lines along the busiest routes in the city — King and Main — and cut into, or eliminate, car lanes will achieve just that. Once B-Line buses are replaced by light rail, Hull hopes capacity can be boosted in other areas of the city. In day peak periods, HSR is having trouble meeting demand on many routes, he says. 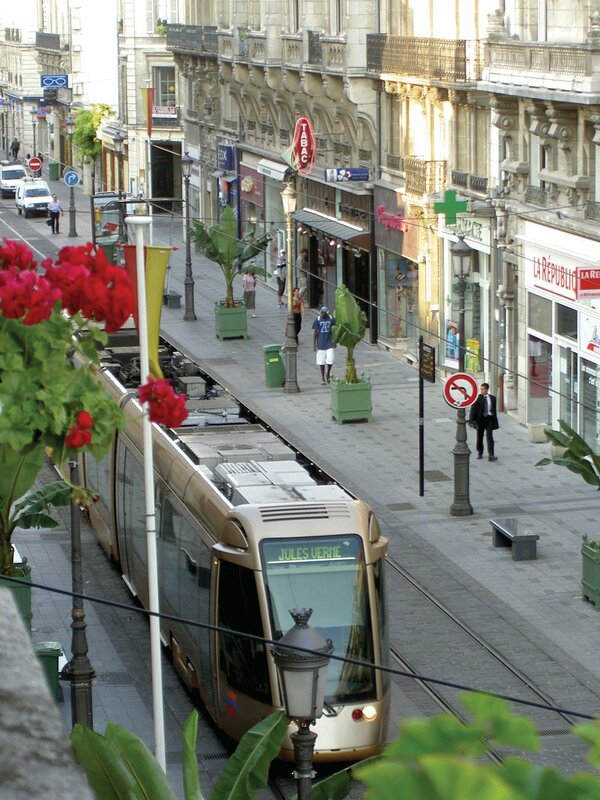 Another important element is the city’s official plan, which aims to see 100 transit trips per year per capita by 2030. That number now sits at 48 and the target simply can’t be reached without LRT, says Hull. The beauty of choosing the B-Line for the first leg of an overhaul of the city’s transit system is that about 80 per cent of routes already intersect with the corridor. “Everything off the Mountain as well as the North End and Bayfront routes meet up with King. It would be virtually an entirely intersecting system. Metrolinx has identified two rapid transit corridors in Hamilton to be developed in the first 15 years — the east-west line that’s on the table, and north-south on James Street from the airport to the waterfront. Three other routes — Eastgate to the Ancaster business park, the Centre Mall to the Meadowlands and downtown Hamilton to Waterdown — are part of a 25-year vision. Metrolinx has made no commitment to whether Hamilton will receive light rail or bus rapid transit. A recommendation on the B-Line corridor is expected Feb. 19. As stated before many times, rapid transit development in Vancouver, especially the Millennium and RAV/Canada Lines, has been about development and not moving people. The hype and hoopla of TransLink and the mainstream media that the Canada Line is carrying 94,000 riders a day ignores the fact that all except about 10% of the Canada Line customers are former bus riders that have been cascaded onto the metro. 10% new ridership on a new transit system is about on par with other new transit systems being opened, thus making the Canada Line just average. There has been no discernible modal shift from car to transit, despite the claims of some media types, as most of the new ridership is made up with $1 a day students with U-Passes; elderly gamblers going to the River rock Casino; and former taxi users going to YVR. As predicted, the raison de être for the Canada Line was property development, for it is very easy to scream ‘densification’ and ‘rezoning’, when a very expensive metro is built and local government is desperate to find more riders, so the the transit agency can ‘cook the books’, so to speak with high ridership figures. But, densification may backfire big time on Vancouver, with a vast loss of revenue, where taxes from businesses will decline and will not be made up from increased residential property taxes, which means an increase in property taxes for all in the city. In fact, Vancouver property owners will get a double whammy of higher property taxes and higher TransLink taxes to fund the hugely expensive metro system. Vancouver City and provincial politicians have brought this upon themselves by demanding gold-plated metro and subway lines on routes that do not have the ridership to sustain them instead of planning for affordable light rail. The big question now is, will the same people who blundered along, forcing the construction of the Canada Line metro, will do the same with the Broadway subway scam? Will a Broadway SkyTrain subway be the final straw that breaks ‘Translink’s (read taxpayer’s) back? The proposed rezoning of Cambie Street properties served by the new Canada Line may cause economic hardship that erodes or outweighs any potential benefits. Because two likely results will be to undermine City Hall’s finances while once again clobbering the merchants who took such a hit while their street was torn up for construction. The story is complicated, especially because allowing greater density in areas served by better transit will create an initial surge in revenue for the city. But this will come at the expense of existing businesses in existing premises along the Cambie corridor. And when new developments inevitably start to rise in response to proposed rezoning, City Hall’s windfall will quickly turn into a loss. So what does this mean for Cambie Street redevelopment? Peter Forward, an associate with the property tax consulting firm of Burgess Cawley and Sullivan, walked me through a detailed look at a representative sample — a cluster of seven buildings, mostly one-storey community retail blocks, just north of the Canada Line’s King Edward station. – With redevelopment: $41,974, or less than half as much as now. Multiply these figures by the number of properties that will be similarly affected up and down the Cambie corridor, and the impact on civic finances is huge. Not to mention the impact on the tax bills of tenants in the Cambie buildings. Here’s how Forward arrived at his numbers (I’ve rounded them for ease of reading). The land on which the seven buildings sit is assessed at $15 million and the structures are pegged at $4 million, for a total of $19 million. The business tax rate — which in Vancouver is five times higher than the residential rate — will generate tax bills totalling about $175,000. Based on city-wide averages, the cost of services for these businesses is $87,500. This will leave an additional $87,500 to be spent on other things. The maximum allowable height of buildings on each lot will rise to at least six stories. This means the maximum square footage of new buildings will be twice what’s allowed now. Since assessments are based on “highest and best use” (what could be on each lot, rather than what’s actually there), the assessed value of the land will double to $30 million. Even if the old buildings are treated as teardowns and assessed at nearly no value, the total of $30-plus million will be more than 50 per cent higher than the assessed value today. The new assessments mean businesses in these same old buildings will see their tax bills soar, as will city revenue. The new total will be $296,000, up from $175,000. Even though there’s no logical reason for the cost of serving the same businesses in the same buildings to rise, Forward generously assumes the city will spend more to keep them happy. So he designates $148,000 of the new tax total as consumption cost. This leaves a surplus of $148,000, up from $87,000 now, that the city can spend on other things. If new buildings on each lot housed one floor of commercial tenants and five floors of residences, the total value of land and buildings would soar to $140 million — more than nine times what it is today. But with only the commercial occupants paying the business rate, and with the residents paying just a fifth of that, the total tax revenue would rise to only about $550,000 — just over six times more than today. Of this, $317,000 would be paid by the ground-floor businesses and $233,000 by residents. With businesses paying twice as much in tax as they consume in services, their portion of the tax bill would generate surplus revenue of $158,000 — a nice increase for the city. But with residents’ tax bills adding up to only two-thirds of the cost of services they consume, they’d create a “loss” of $116,000. This would leave a net surplus of $42,000 for the seven properties, or less than half of what’s left over today. In other words, a snazzy redevelopment project for this little bit of Cambie — just what the city is aiming for with its Canada Line-related plans — will cost the city tens of thousands a year in forgone revenue. And as other parts of the street are similarly redeveloped, the annual losses will soar to hundreds of thousands, and then millions. Not to mention the plight of those poor Cambie merchants — the very ones who went through hell and back during the Canada Line construction. They can look forward to sharply higher tax bills in the short-term, and the longer-term prospect that their premises will fall to the wrecker’s ball.